Conventional Insured by approved mortgage insurance company. 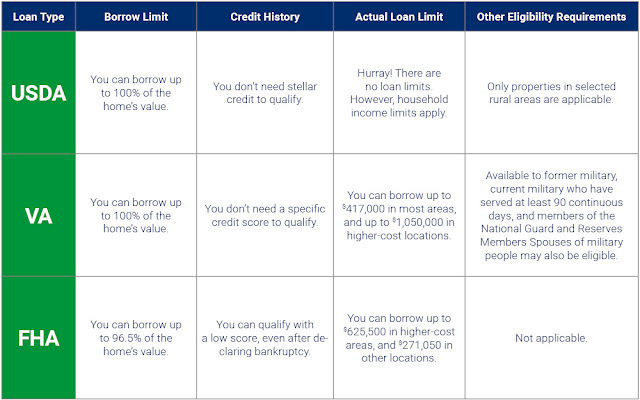 Minimum credit score of 620 or better. 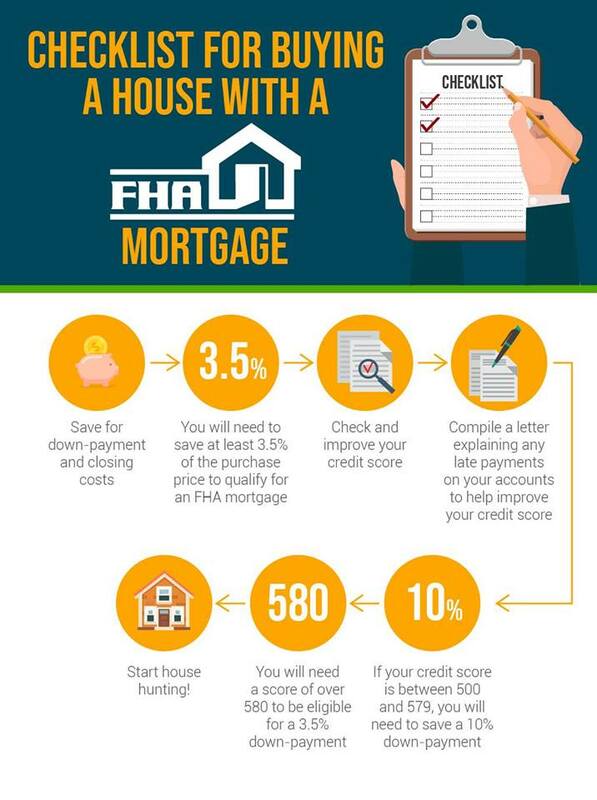 Monthly mortgage insurance premiums based on credit scores and down payment and can vary. FHA Insured by the Federal Housing Administration. 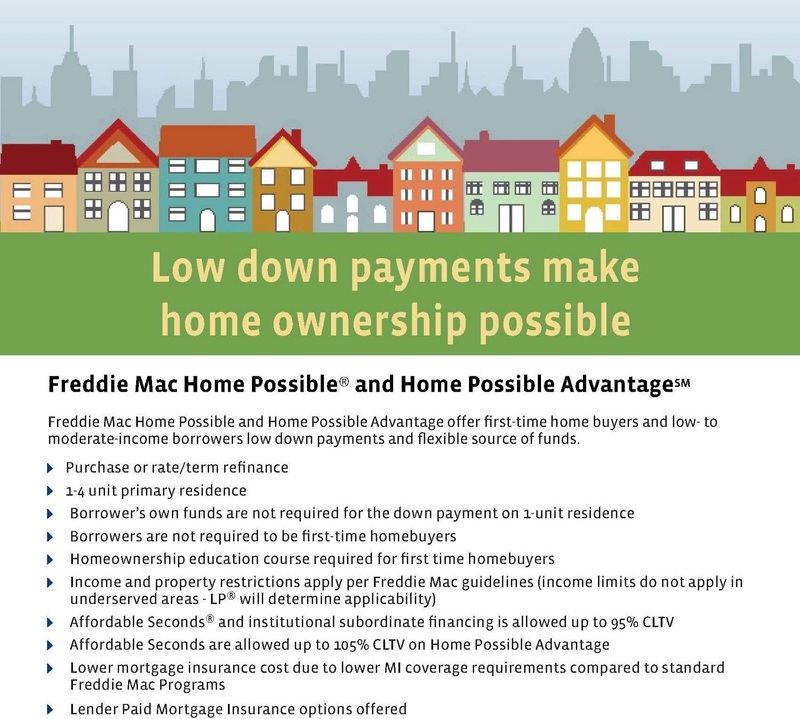 Down payments as little as 3.5 percent. 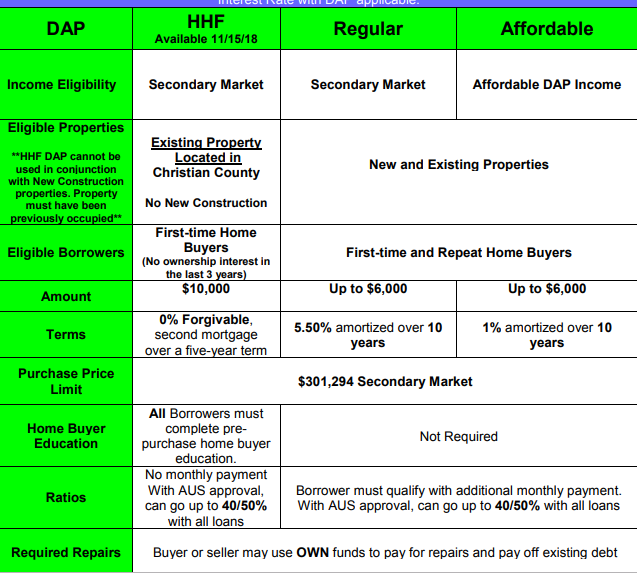 Can use DAP for 3.5 percent down payment requirement. Upfront and monthly mortgage insurance. Minimum credit score of 500 for 10% down payment and 580 credit score or higher with a 3.5% down payment. VA Guaranteed by the Veterans Administration for qualified military veterans. No down payment if the property appraises for the sale price or greater. Credit underwriting is flexible. 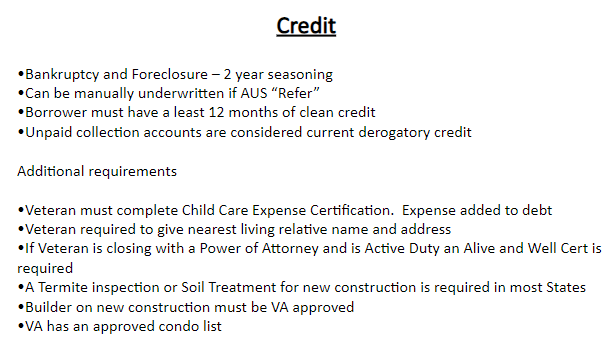 No Minimum credit score for VA loans, but lenders will create overlays to protect their selling ability to VA for delinquent mortgage loans sold to VA. A lot of VA lenders want a 620 credit score, with some going down to 580, and a few will do down below that but very difficult to get approved with a VA lender. No monthly mortgage insurance payments are required, however they're upfront funding fees that range anywhere from 2.1% to 3.3% based on previous use or first time use of VA eligibility to buy a home, or if you are disabled, you may have not to pay this at all. 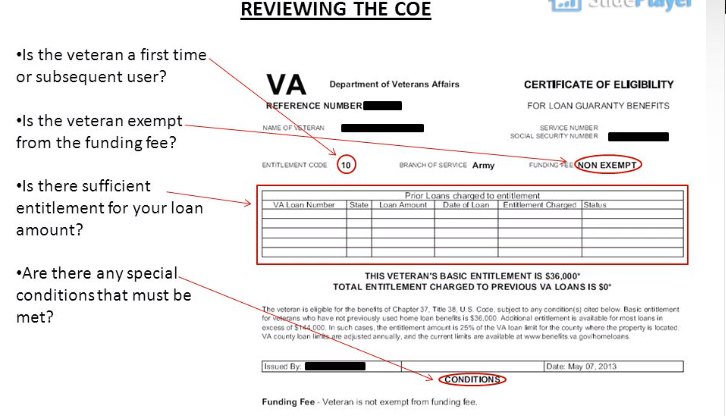 The VA Certificate of Eligibility will show if you have to pay a funding fee to VA or if you are exempt. score of 581. Most Kentucky USDA Lenders will require a much higher credit score, usually 640 or higher, with s few going down to 620 credit score. USDA loans have a monthly mortgage insurance premium of .35% and a upfront mortgage insurance 1% that is financed into the loan. 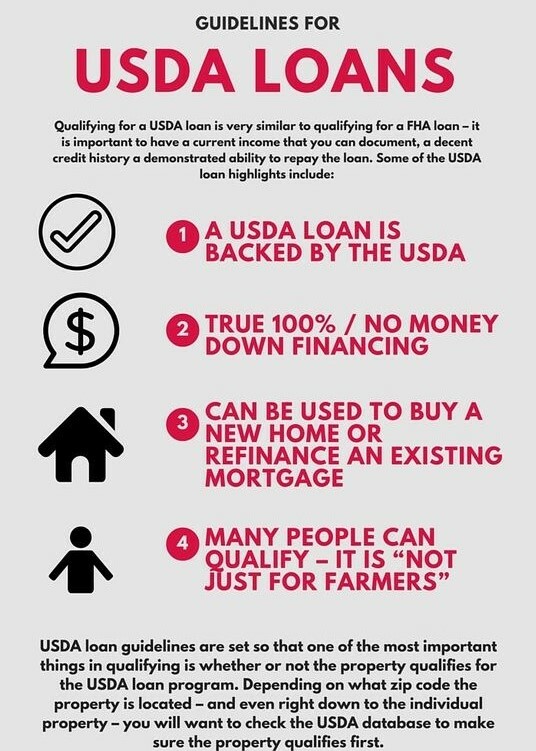 For example, if you finance $100,000 sales price USDA loan, going no money down, then your total loan amount with 1% USDA Guarantee Fee would make the total loan $101,000.00 These premiums are kept by USDA and protect their risk of offering no money down loans to rural home buyers in case they default. They are very cheap mortgage insurance premiums when compared to FHA but can change at any time based on the fiscal condition of the rural development program. I remember back in the foreclosure crisis of 2008, USDA raised their upfront mortgage insurance premiums to 3% because of all the losses the program incurred with the foreclosure of homes during that period. Subsequently, when the housing market improved, they reduce their mortgage insurance premiums. • Non-taxable income can be grossed-up. • Both new and existing property. 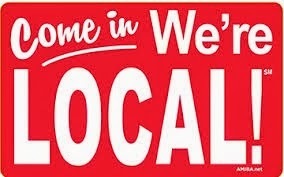 • Both new & existing Manufactured Housing.